The Central America section has been archived. This organisation profile is no longer actively maintained and may not be accurate. 6ª Avenida 1-71 zona 1, Ciudad de Guatemala, C.A. 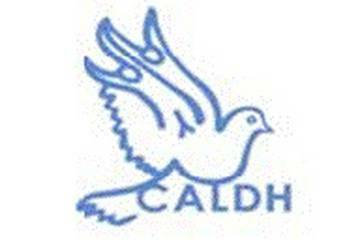 The Centro Para la Accion Legal en Derechos Humanos (CALDH, Centre for Human Rights Legal Action) began in the 1980s as an unofficial association united to fight for basic human rights to help establish peace during Guatemala’s 36-year civil war. Following the Peace Accords of 1996, CALDH was recognised as an official institution that promotes and defends human rights, while consciously recognising the historical memory of Guatemala’s civil war in its pursuit of basic freedoms. CALDH aims to further a full national and international understanding of Guatemala’s, to ensure that this history will not be repeated. CALDH trains partner organisations and groups in order to allow them to speak out against impunity and injustices in Guatemala. While all programmes work to establish peace through the promotion of human rights, DEJURE is CALDH’s initiative that focuses most directly on establishing peace. DEJURE contributes to establishing truth and justice at the national and international level through supporting victims of human rights violations during the conflict. This includes financial reimbursement for victims of human rights violations, promoting full political, social, and judicial understanding of human rights violations committed, and researching and explaining how they relate to the present and current construction of a culture of peace and understanding.